The Zenobia was a Swedish RO-RO ferry that sank close to Larnaca Cyprus in July 1980. 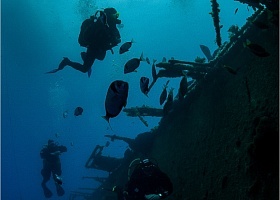 One of the top ten world dive sites, ideal depth 17 to 40 meters for recreational diving.  Increase your level of dive techniques and expand the theoretical base. 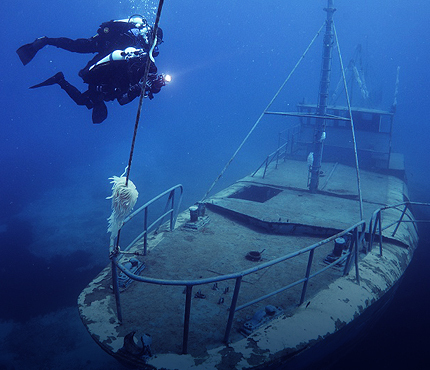 Become a leader in the group, plan and carry out a dive as underwater guide or help the instructor to teach diving. 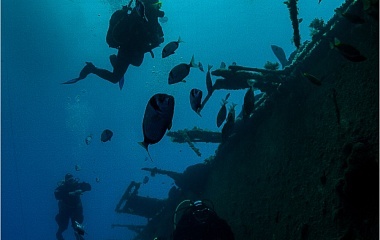 Certificates PADI are the most prestigious and popular among divers around the world. 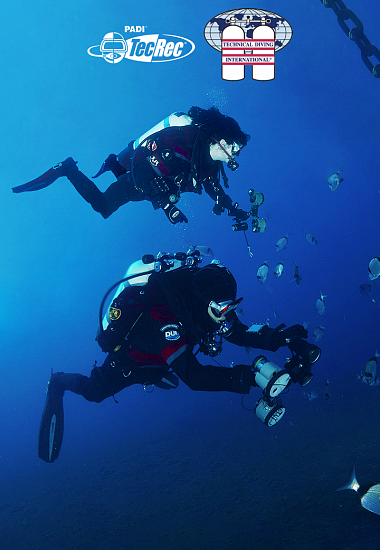 Under the guidance of an experienced PADI instructor, you can learn important safety techniques and gain confidence when diving. 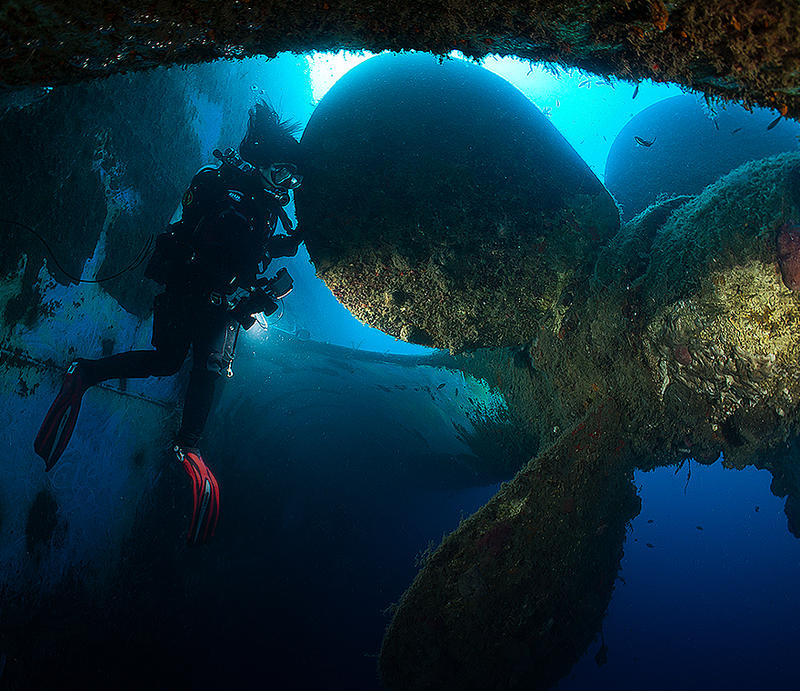 Technical diving is diving in difficult conditions, exceeding the limits of recreational diving that requires special equipment and training. The beauty of the underwater world can safely begin to learn from an early age. Complete courses for children will help the most experienced and attentive instructors. Successful completion of the exam, many thanks to all the staff of the club. From the first seconds of communication immediately feel warm welcome. Everyone who wants to get an unforgettable experience of the «Undersea world», I advise you to visit this club. In the «Undersea world», we greeted warmly, all told without surprises and innuendo. The attitude is very serious, but unobtrusive. The main adventure was on Zenobia, sunken ferry, very big ship, would recommend. I was deeply impressed by the professionalism of Elena (She was the leader), we watched the entire ship for 2 dives. Highly recommend this dive center! "Спасибо вам огромное за сегодняшнее погружение! Это было невероятно. Я надеюсь что мы вернёмся и встретимся ещё раз. Не смотря на то что по началу не все получалось, появилось желание пройти весь курс и покорить ещё больше морских глубин. Всю жизнь боюсь воду и глубину, но с вами страх был побежден! Вы профессионалы своего дела и с вами все было спокойно и познавательно! Спасибо огромное!" We spent 2 weeks diving with the team at Podvodnyi Mir and fully enjoyed the experience. 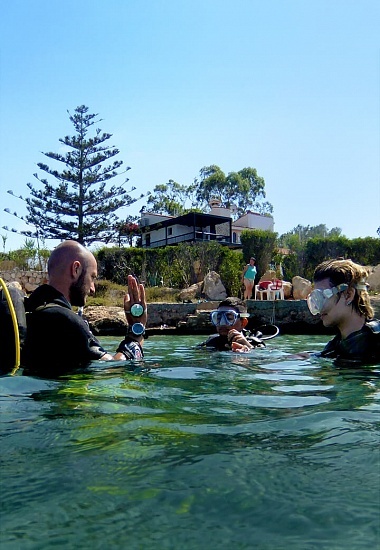 The set up, equipment and facilities at the dive centre are excellent, the team provide a service which makes the days diving as relaxed and safe as possible by organising every detail of the day. The whole team are massively experienced and can provide enjoyable diving from DSD to Tech Diving, their knowledge of the Zenobia wreck is second to none. 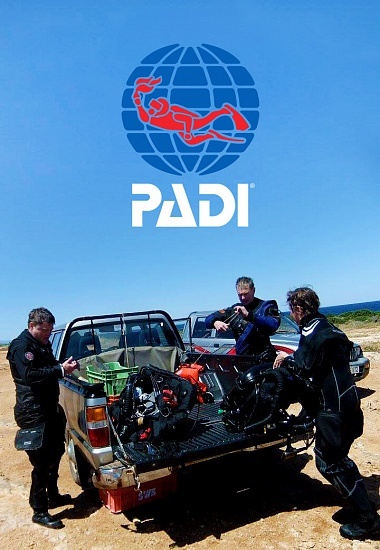 These guys are professional divers who provide a great service , the more you put in to interacting with the team the more they will go the extra mile in return. I cant single anyone out for praise, thanks to Elena, William, Xenios,Takis & new "boy" Steve for a great holiday and lots of laughs, I'll definitely be diving here again. "Thank You Elena for the opportunity of being part of your dedicated and professional team for the last 5 weeks, and for some incredible diving! I hope to see you all next year, and I will miss you also." I popped in the diving centre because it was the nearest PADI one to my hotel. 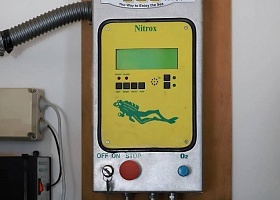 Booked a double dive morning - including a check dive, as I'm just an occasional OWD Diver - which was good and then got the suggestion to go to the Zenobia wreck and do the Nitrox certificate at the same time. I'm so happy to have done that. 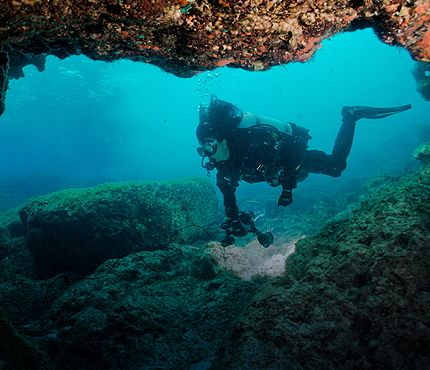 Going down to the wreck felt challenging to me, but the previous day dives git me ready for that. And the instructor (Max) supervision made sure everything went smoothly and safely. The diving centre manager Elena was extremely professional and with a friendly attitude to the customer. As a bonus I got some nice photos too ! Passed Scuba Diver course this September. It was very interesting and exciting. Thanks to all and especially Helen Zacharias, Andrew and Robert. Center really cool. I advise everyone. 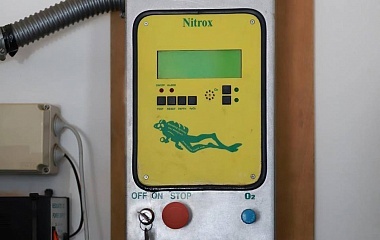 try dive for only 62 euros!